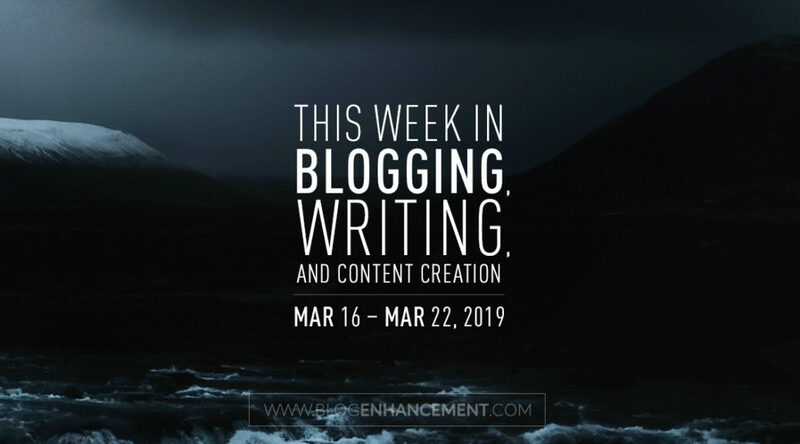 Welcome to another weekly round-up post from our growing community of bloggers, writers, vloggers, podcasters, and other fellow creatives. In short, each and every week we hand-pick five top posts from a pool of the highest voted user-submitted/created posts in the community and include them in this weekly round-up blog post, along with the newsletter for all of our e-mail subscribers. As per our submission rules, posts shared can not be older than 30 days, meaning that all of the following are fresh and recent! Over the last few years, it’s become harder to drive visitors and acquisitions through content, so we decided to take a break and figure out how to re-invigorate our content marketing—and distribution. Copywriting and social media captions are deeply intertwined. A really good caption informs us about the things we cannot immediately see and encourages us to look at an image or video more closely. The silencing of Ms. Ma, better known in China by her pen name, Mimeng, reflects a broader campaign by Xi Jinping to purge the public sphere of popular voices that the ruling Communist Party finds threatening. Most of us don’t want to learn about failure because we don’t want to fail. And that’s okay, because failure is an essential part of any business. If you’ve never failed then you’ve probably stayed in your comfort zone. When it comes to developing content for your site, you don’t want to throw stuff at the wall to see what sticks. Rather, you want to thoughtfully develop a content marketing strategy that helps your site rank in SERPs. That’s all folks! You can view all the rest of the community’s top submissions (11 more) here. Be sure to tune in next Friday for another great weekend reading list that will make you a better and more informed blogger, writer, and/or content creator! If you have anything awesome to submit that others might enjoy, feel free to do so! And don’t forget to help other fellow creatives find this nifty resource by sharing it around! Thanks! PS: Run a blog, vlog, or podcast or any other creative endeavour? Start an accompanying homebase/community (like ours) on Snapzu (a platform for bloggers/creatives) and utilize it to effortlessly create and send out awesome routine round-up posts/newsletters like this to help grow your audience and newsletter 3x faster! It’s free! Learn more.